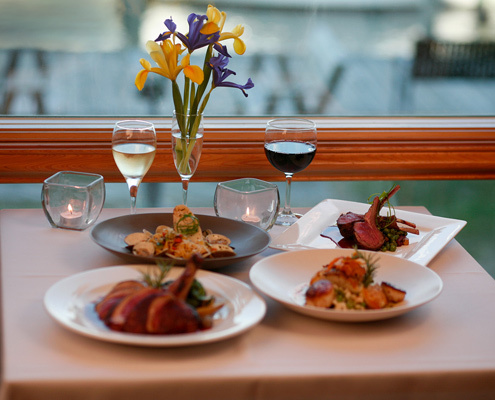 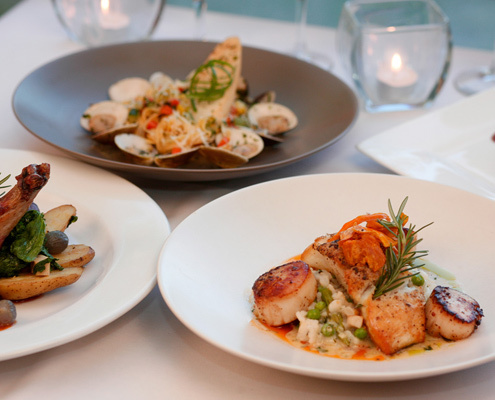 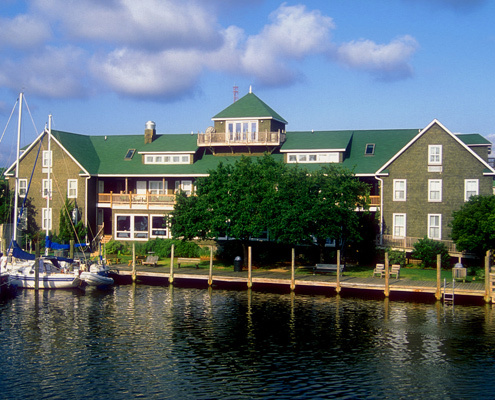 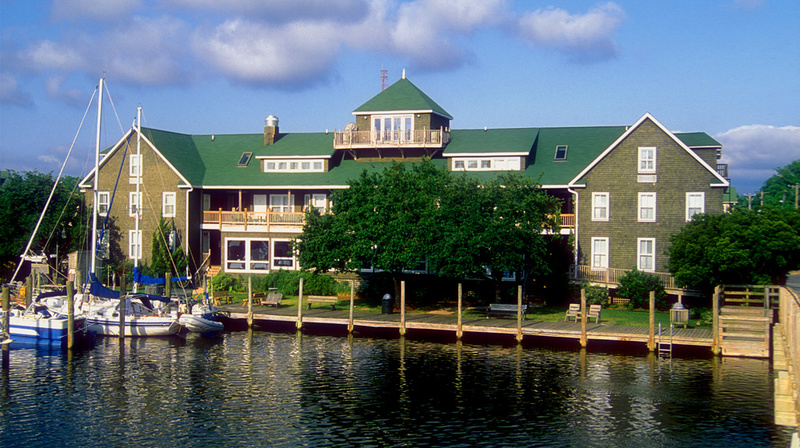 Located on the beautiful and historic Manteo waterfront at the Tranquil House Inn, enjoy breathtaking views from every seat while you dine on creative gourmet cuisine. 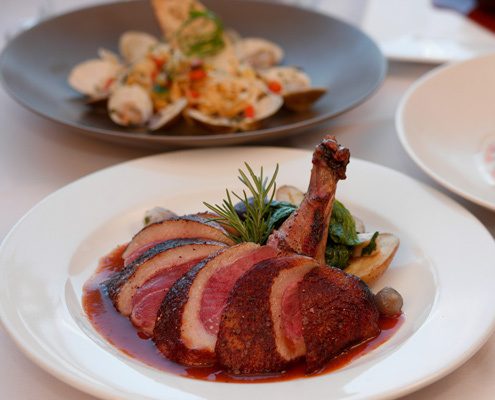 Savor the global and American influences. 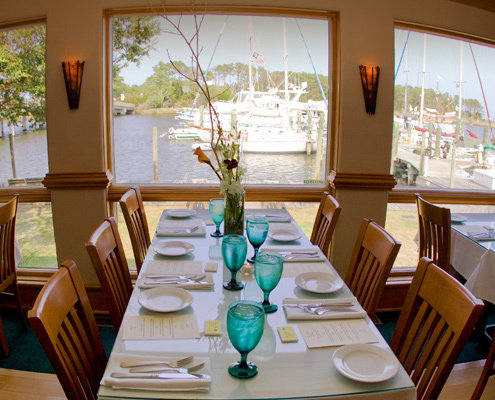 Dine in an atmosphere that is both elegant and relaxed with large windows framing Shallowbag Bay and a moonrise that is truly spectacular! 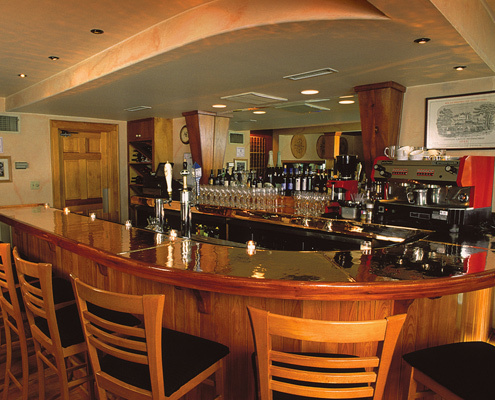 Our copper top bar is the perfect stop for wines, a wide selection of beers and cocktail beverages plus appetizers or small plate menu items.